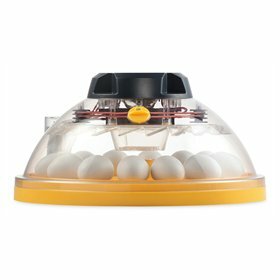 This new incubator model, Brinsea's Maxi II Advance, holds 14 hens’ eggs and is the mid-range model for its size. This new series has the same great features as the first Brinseas, with some added convenience: most of the controls are automatic. 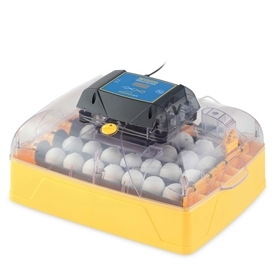 Precise electronic temperature control with alarms, circulating air to keep the temperature even throughout the chamber, automatic egg turning. 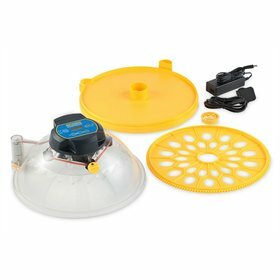 To control humidity, this new model allows you to add water via an external port in order to fill the internal water trays. 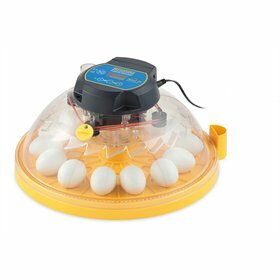 That means you don't have to open your incubator to manage humidity anymore! The factory temperature is preset at 99.5 F but it is adjustable. 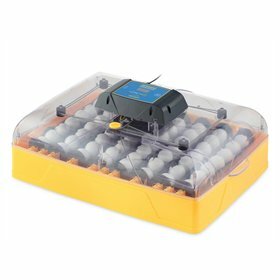 There is a digital temperature indicator, but you'll also be provided with a conventional glass thermometer to double check your incubator's temperature. 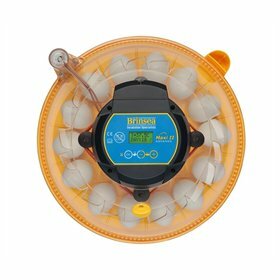 If you like this incubator, you might also enjoy the Maxi II Advance Classroom Pack. 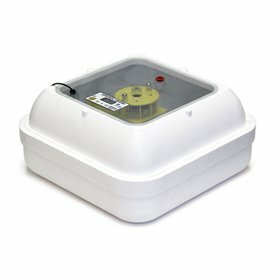 If you're looking for more automated humidity control with your incubator, please check out the Maxi II Ex.